​Cody Bellinger is on fire. 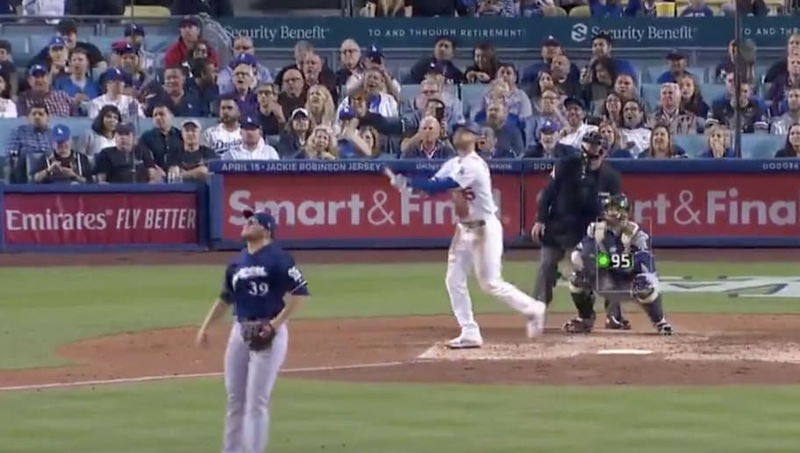 The Dodgers' star has been red-hot at the plate this season and continued his outstanding start to the campaign on Friday night, crushing a home run to right field. The 23-year-old has one of the smoothest swings in baseball, and he put it on display in the third inning. The two-run shot was his eighth of the year, as he put the Dodgers out to a 3-2 lead. Bellinger has always loved to pull the ball out to right field, and that's exactly what he did with that pitch from Brewers' starter Corbin Burnes. The two runs driven in give Bellinger 21 RBI on the year, as he can simply do no wrong at the plate.